Lots of professionals share content – like articles, blog posts, and presentations – on social and professional networks to strengthen their professional brands. And lots of companies share content on social and professional networks to attract talent, and market and sell their products and services. But relatively few companies recognize that when they empower their employees to be social professionals, they not only change the trajectory of their employees’ careers, they change the trajectory of their businesses as well. For example, when a LinkedIn member shares six pieces of content, on average, they receive six profile views and make two new connections, which helps them strengthen their professional brands. At the same time, the company they work for receives six job views, three Company Page views, and one Company Page follower, which helps them better hire, market, and sell. Despite that, our research shows that only 2% of employees share content their company has shared on LinkedIn. Yet they drive tremendous value. They’re responsible for about 20% of the overall engagement – clicks, likes, comments, and shares – that content receives. That’s not surprising given employees have 10 times more connections than their company has followers, and people tend to be considered more authentic than companies. So why aren’t more companies empowering their employees to be social professionals? Because they lack the tools needed to easily and effectively curate content, suggest it to the right employees, and measure the impact on the bottom line. That’s why I’m excited to introduce LinkedIn Elevate – a new product that helps companies and employees curate high-quality content, share easily to social networks, and measure the impact. 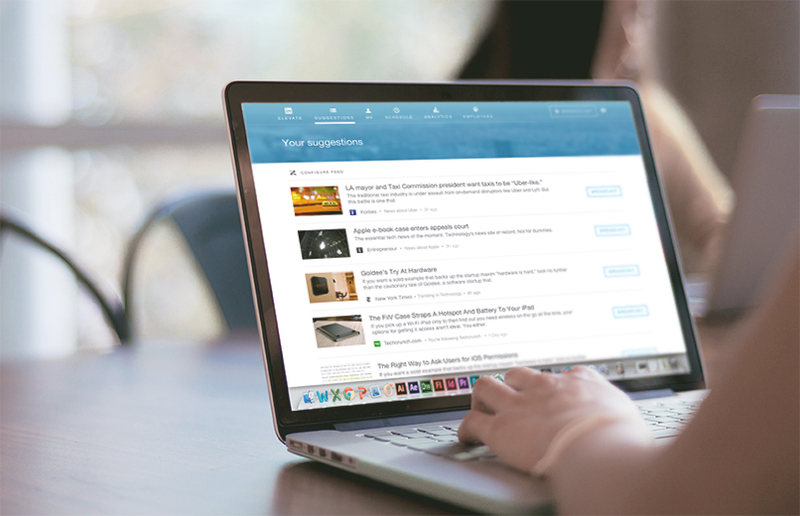 LinkedIn Elevate combines algorithmic recommendations from LinkedIn Pulse and Newsle, and human curation, to equip employees with a ready stream of relevant content they can share. 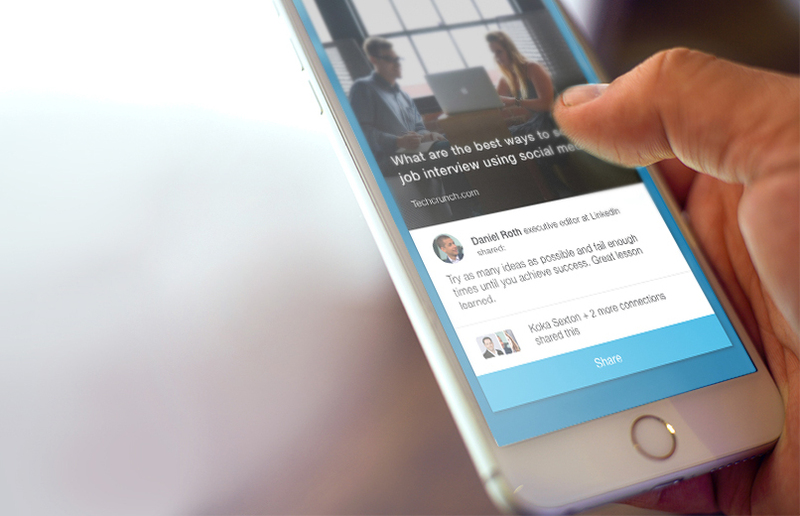 Sharing is simple with the LinkedIn Elevate iOS, Android, and desktop apps. Employees can easily share content on LinkedIn and Twitter, and take advantage of LinkedIn Elevate’s intelligent scheduling capabilities to ensure their content gets shared when their networks are most active. 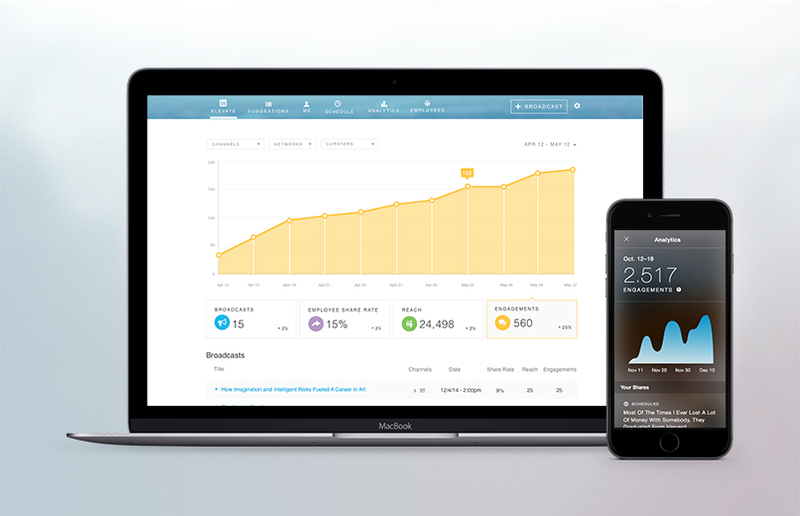 LinkedIn Elevate features powerful analytics for employees and companies. Employees can see how many times content they’ve shared has been liked, commented on, and reshared, and how many people it reached. Soon they’ll get even more insights, like who viewed their profile and requested to connect as a result of the content they shared. LinkedIn Elevate provides companies with the same data, as well as numerous micro-conversions – like job views and Company Page followers – and results that impact the bottom-line – like hires, leads, and sales. Adobe, Quintiles, Unilever and several other companies piloted LinkedIn Elevate in Q1. Employees who participated in the pilot shared six times more often than in the months leading up to the pilot. As a result, Quintiles employees who participated in the pilot received four times more profile views and made two times more connections, and Unilever employees drove four times more Company Page views, two times more Company Page followers, and six times more job views. LinkedIn Elevate is available today by invitation only, and will be generally available by Q3. Click here to learn more about LinkedIn Elevate and how you can empower your employees to be social professionals.